The Lakeside and Haverthwaite Railway offers trips on restored trains through the Leven Valley. 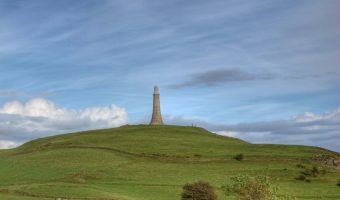 The 3½ mile railway is all that is left of the track that used to run from Lakeside to Ulverston and Barrow. Trains run between Haverthwaite, a small village 5 miles north east of Ulverston, and Lakeside, a harbour at the southern end of Windermere and site of the Lakes Aquarium. The line follows the path of the River Leven with some beautiful views on the way, especially towards Lakeside. Trains make just one stop on the way; at the Newby Bridge halt. Trains operate between April and the end of October. Return tickets cost £6.20 for adults and £3.10 for children. 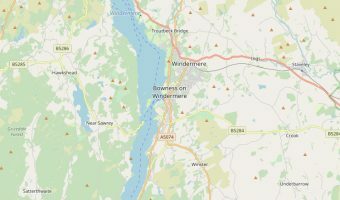 Timetables are coordinated with the boats of Windermere Lake Cruises that sail from Lakeside to Bowness and onto Ambleside. Combination train and boat tickets are available. Trains can be boarded at either Haverthwaite station or Lakeside station. Haverthwaite train station is situated off the A590 and is clearly visible and signposted from the road. Owners of satellite navigation systems can use the postcode LA12 8AL to find it. Facilities at the station include café with indoor and outdoor seating, souvenir shops, and a car park (small fee payable). Lakeside station is situated at Lakeside, at the southern tip of Windermere. To find it take the A590 to Newby Bridge and then follow the brown tourist signs for Lakes Aquarium. There is parking at Lakeside for 300 vehicles. The charge for 10 hours parking is a very reasonable £3.50. In the summer months, Windermere Lake Cruises also run a ferry service from Lakeside to Fell Foot Park. Map showing location of Lakeside and Haverthwaite Railway. The Aquarium of the Lakes is nearby and is worth a visit. Traditional market town with plenty of character.